You get way more bang for your buck as The Blinkwater Villa together with restaurants, tour operators and attractions discount rates heavily during the off-season. Not only do you get great value for money, but low season also means fewer tourists, less traffic and no long queues. Are you worried about the weather in Cape Town during this time? Don’t be! The fact is that the city enjoys a mild Mediterranean-type climate with daytime temperatures averaging a maximum of 18 – 20 degrees Celsius during Winter and Spring compared to 5 degrees in London and – 2 degrees in New York. Weirdly, Cape Town’s oceans’ temperature is actually warmer during winter averaging around 13 degrees. 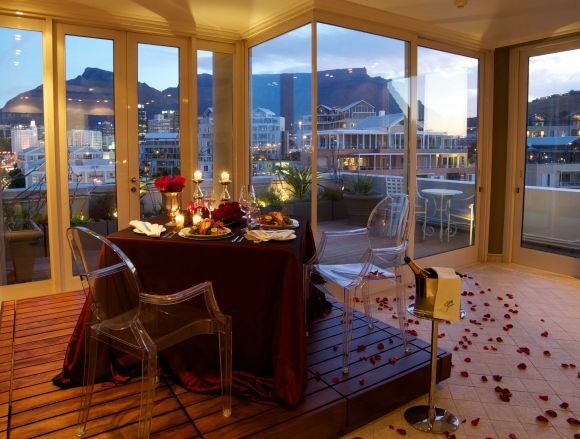 The absence of the scorching Africa sun also allows for outdoor activities like hiking, trail running and mountain biking and when it does rain, well, what better excuse to go to some of the City’s amazing restaurants with fireplaces. You don’t need to put on your polaroid sunglasses to see the mountains, grass and fields transform to bright green during Winter. 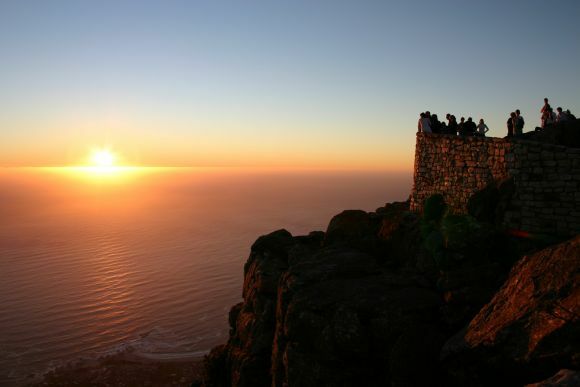 World-renowned for its splendour, Cape Town’s nature scene truly comes alive after the first rainfall with Table Mountain and surrounding Cape mountain ranges at its spectacular best. 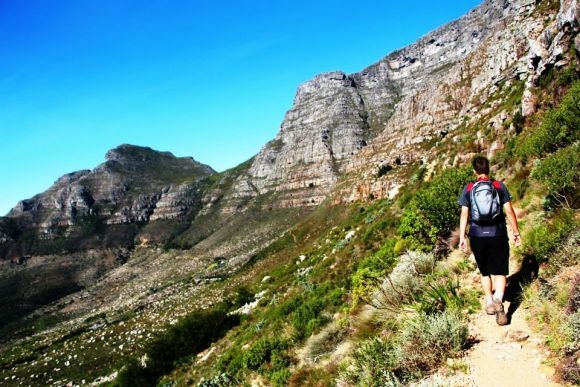 It’s the ideal time to grab your camera, put on your hiking boots or Wellies and go view the many waterfalls and streams visible on the mountain slopes, natural forests, Kirstenbosch Botanical Gardens and parks in and around the city. Ask any surfer and they will tell you that the bigger waves, wind conditions and warmer sea temperatures are the perfect combination for all sorts of surfing along the coast in Winter. 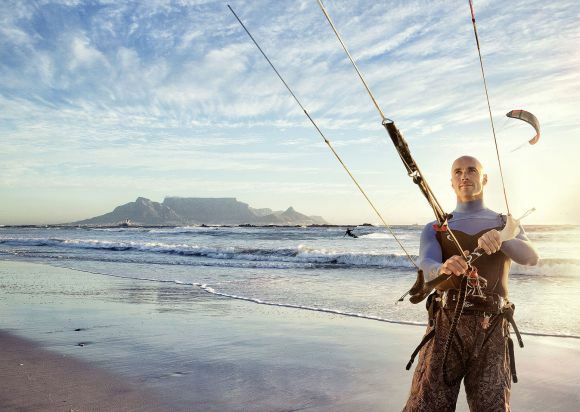 Don’t wait til summer to take up kite-surfing, stand up surfing (supping) or to grab a long board for the first time – May to September is the best time to give it a try. With paragliding, a perfect flight could be experienced on a clear winter’s day with the ‘calmer’ wind and warm airstreams that will keep you up in the air for longer – meaning you get more value for your money. 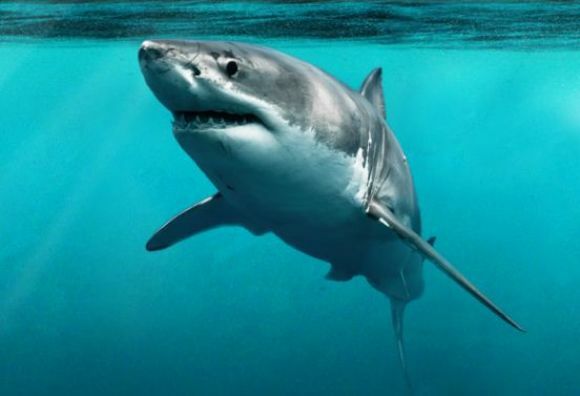 The absolute best time to do shark cage diving is in winter, with a 99% success rate due to the fact that sharks are particularly active in their feeding behaviour. The visibility in the ocean is also at its best, helping you to see these spectacular creatures up close and personal without any interferences. 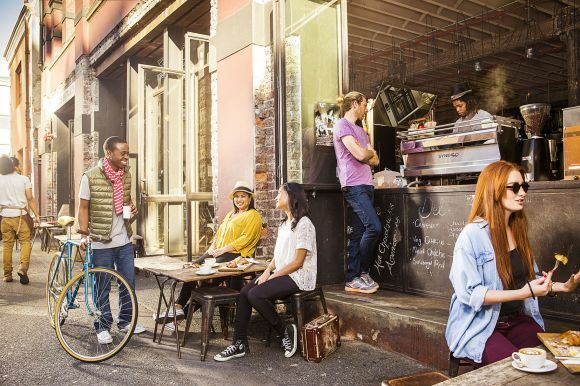 Cape Town is already food-obsessed, but during winter locals just love crawling out of their homes to go to their favourite eatery or trying out new spots over weekends. You can literally choose from hundreds of restaurants offering comforting eating experiences – many with cosy fireplaces, atmospheric views and special winter deals. A perfect way to spend a cooler winter’s day is to explore the variety of bustling indoor markets in and around the city, like the City Bowl Market or the Bay Harbour Market, or do a food and wine pairing at one of the world-class wine estates in the area. July to September is the peak calving season for whales, which means you are guaranteed many opportunities to spot the worlds’ biggest mammal. Take a drive along the False Bay Coast or visit Hermanus – the whale capital of the world for your best chance of spotting them from the shore or on a boat or kayak. 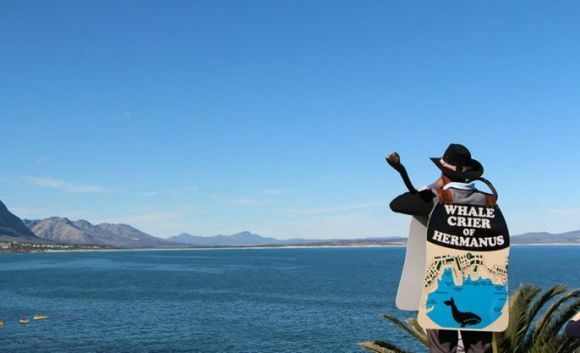 The annual Hermanus Whale Festival in September is worth the hour and a half road-trip, with performances, markets and the legendary whale crier of Hermanus “calling” the whales with his trumpet as visitors sit in crowds watching whales breech in the bay. One of Cape Town’s best affordable luxury experiences is visiting one of the first-class spa’s and winter is the ideal season to take a day off from the rush to refresh, renew and revive your body and mind in an indulgent environment. Non-stop winter packages also mean that you get more spoil for your spend, whilst you get warm and relaxed inside a heated room – sometimes even African-themed or using indigenous plant species like fynbos. Travelers from around the world annually come to the Cape in August and September to witness a natural spectacle when millions of beautiful wildflowers start blooming for Spring. 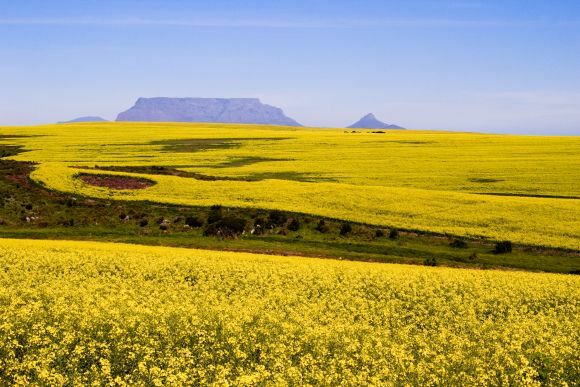 Traveling a mere hour north out of the city, you enter the South African floral region, a UNESCO World Heritage site, the start of hectares of pink, white, orange and yellow flowers – sure to blow your breath away and tick off a bucket-list item. Another thing that makes visiting Cape Town during this time so wonderful, is the fantastic line-up of top events, festivals and expo’s take place over these five months, drawing locals and visitors to make a weekend of it. Click here to view the upcoming events calendar to make a date with the Mother City soon.